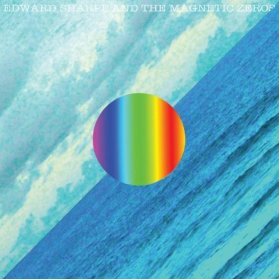 Edward Sharpe & The Magnetic Zeros makes a not-so-triumphant return with their latest album, Here, with its slow-paced , 70’s folk, southern twang rock-inspired melodies. The band is most popular for their acclaimed single, “Home,” as well as for “40 Day Dream” and “Janglin,” which are bubbly, upbeat favorites from Up From Below. Here is an album that builds on the purgative, collective aura the band has developed. Opening with the whispers and quiet haunting of “Man On Fire.” The lead singer, Alex Ebert hums chants followed by light strumming and a profusion of vocal backups. Here is Edward Sharpe & The Magnetic Zeros’ second album that defines their newfangled depths as an indie band. A southern indie folk twang with poignant tracks ignite the band’s new approach.